Introducing the RéVolution, a new ski from GOODE that delivers improved performance through breakthroughs in construction design, new carbon fibers and an advanced resin system. The result is a ski that provides a quicker, more progressive rebound, is more durable and weighs a quarter pound less than any other GOODE to date. The enhancements drastically improve the consistency and overall performance of a shape whose winning lineage includes a Big Dawg Championship and multiple U.S. National titles, including Brian Detrick’s Open Mens slalom victory in 2016. “This shape is a proven winner, but through a two-year R&D process we’ve been able to ncrease top-end performance as well as user friendliness and predictability,” said Dave Goode, founder and present of GOODE Skis. A new advanced internal construction process features an internal backbone running from the tail of the ski to the top of the tunnel. This feature leads to a more progressive “wind up and wind down” out of the turn and into the first wake. Through a new carbon fiber resin system the engineers at GOODE were able to increase the durability of the ski while reducing weight, thereby increasing cross-course efficiency and decreasing drag – and the extra work associated with it. Additional features of the RéVolution include a water proof core and a refined and more forgiving torsional flex. “It gets you wide like a big ski and takes angle like a small ski. Learn more about the RéVolution here. The Syndicate Alpha builds on the success of the Syndicate PRO design. Asher, Travers, LaPoint and Wingerter spent the 2018 season fine-tuning a loose and light iteration of the Syndicate PRO design; the all new 2019 Syndicate Alpha. 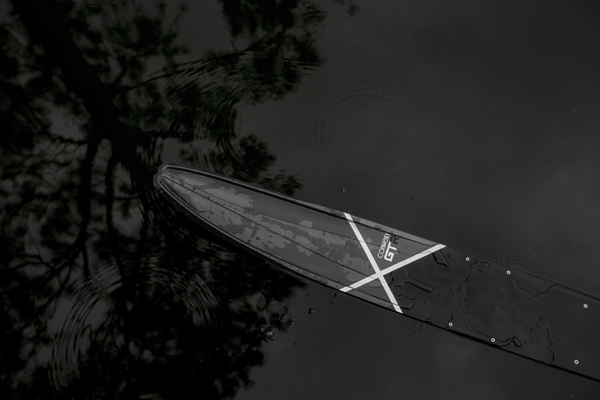 The Alpha shares the same width profile as the Syndicate PRO, but is designed with a shallower concave depth in the tail of the ski, and a flatter tip rocker, for a loose and light feel on the water. With less downforce than the PRO, the Alpha accelerates with less physical effort, and projects wider off the second wake. The shallower tail concave allows the Alpha to have more turn drift for tight rope turn finishes. Optimized for skiers who prefer lower drag, less physical effort, fast, light and quick turning skis, the Syndicate Alpha is ready for combat. Who dares wins. This new design is available and can be found at the HO Skis/Syndicate booth at the AWSA National Championships in Maize, KS. Stop by, say “Hi” and check out the all new Alpha! Lynnwood/White Salmon, WA – July 24, 2018 – Connelly Skis announced today that they have signed a purchase agreement to acquire substantially all the assets of North Sports, Inc., a leading producer of inflatable waterparks, inflatable kayaks, standup paddleboards, and related watersports products under the Aquaglide brand name. The company was originally formed in 1984 as a windsurfing accessory business, and has been involved with kiteboarding, snowboarding, and watersports products throughout its history. The Aquaglide brand was formed in 2004. Aquaglide will be run as a separate division of Connelly. David Johnson will remain as Director of Product Development, while Jeff Cunningham will add the title of General Manager in addition to his duties as VP Global Sales. Closing of the transaction is anticipated by the end of July. As a brand that has lead the market with 53 years of industry-first innovations, Connelly Skis operates on a mission to continuously push the future of high-end ski design. Although their crown jewel has always been the GT, this year, they are forging a new frontier. To inaugurate the 2019 season, Connelly Skis is excited to announce the launch of their all-new flagship ski, the Connelly GT-R. Designed with the same superior performance and control at high speeds that has been a staple quality in the GT for years, the GT-R is a fine-tuned weapon that boasts epic efficiency and maneuverability for the ultimate slalom weapon. The brainchild of Joel Howley and Doug Cannon, the GT-R was built fusing the best qualities from both high and low riding skis. With the GT-R, skiers will be able to grip through the apex of the buoy for graceful, yet powerful turns and unleash at the finish for maximum angle and acceleration into the wake. Here’s how. Like the GT, the GT-R’s tail is fashioned with a reduced sidewall, which allows the ski to anchor through the turn for heightened stability. However, new to this model, the reduced side wall now extends up past the bevel at a 45º angle. This causes ski to water contact, which generates lift and reduces drag. The results? Snappier finishes and electric speed out of the buoy. Additionally, the GT-R’s sharp to round bevel transitions set the ski deeper in the water, while the long, flat underfoot provides a distinct center zone for effortless balance and less tail blowouts. Combined with our advanced technologies in the core, flex pattern, hybrid texture and V-Step, the GT-R has set the standard for a whole new pedigree of high-end slalom skis. We caught up with the brains behind the GT-R for a little Q&A to learn more about the skis’ inception and its capabilities. Connelly - What was missing in the high-end slalom ski market that you sought to remedy? Doug: A deep riding ski that would stay planted in the biggest turn, yet still yield massive acceleration. Connelly - Walk us through the process of formulating the 45º angle. Doug: When we first began developing the GT, we started with the 45º top edge bevel, but did not implement it into the final product. However, we revisited the 45º bevel for the GT-R and found it was monumental, so we stuck with it. 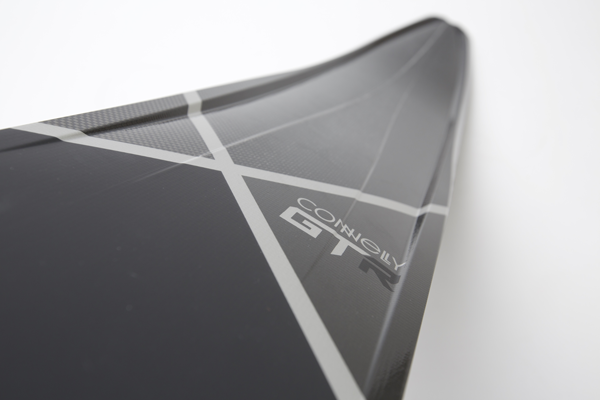 Connelly - Why is the technology behind the GT-R such an advanced feat for slalom skis? Doug: We amalgamated V-Tech step technology, reduced sidewalls, 45 degree upper surfaces and hybrid base textures, squeezing all the benefits into an outstanding whole. Connelly - Why should people consider the GT-R among other brands? 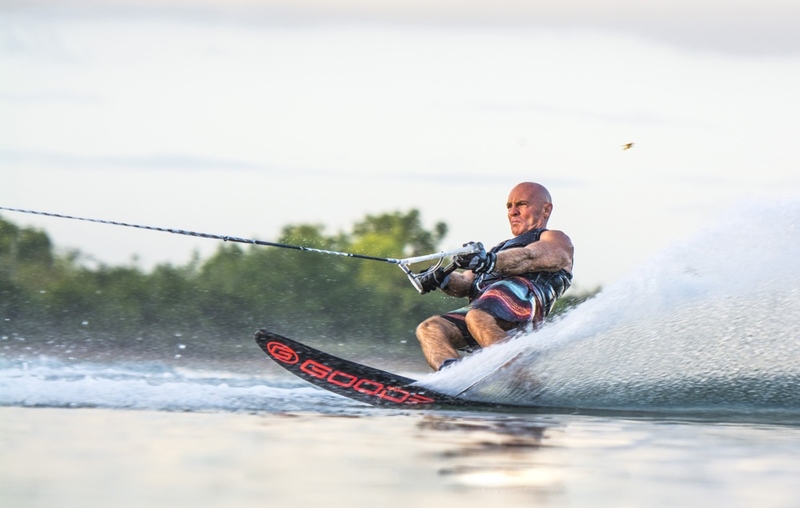 Joel: Connelly doesn’t claim to reinvent waterskiing every 12 months. Only when we actually take a legitimate step forward in technology do we release a new ski - ergo the GT-R. This ski has more grip and less drag than anything we have ever produced, and I am very confident that skiers will perform better on it than any other. Connelly - What is one thing you struggle with in the course that the GT-R will help improve? Joel: I often fold at the hips exiting my onside turn. The lift created by the GT-R’s tail allows me to rotate the ski faster, giving me more time at the back of the ball to travel inwards before the rope tightens. As a result, I can take the load closer behind the boat, which is a much easier place for me to hold my body position. Visit https://www.connellyskis.com/gtr.html to learn more and watch a video of Joel explaining the technology step by step. Skiers can sign up to receive an email alert when their GT-R is available for purchase. All new 2019 Senate Pro! All new 2019 Senate Pro! The Senate Pro is the latest creation to come out of the Radar Lab. For 2019 we updated our Senate to follow the design of our 2018 Vapor and with that we created the best Senate yet! We instantly knew we need to make it out of our signature ProBuild construction and manufacture at home in the Radar Lab! PMI foam is undoubtedly the lightest, most responsive foam on the market. We wrap that foam in Textreme spread tow carbon to make this all-new Senate Pro the fastest, most aggressive Senate we've ever created. Now those skiing 32-34 MPH in the course truly have a racecar of a Senate to write home about. The 2019 Vapor is here! Carrying the same shape as the 2018 Vapor, we have found this ski to be our most popular and successful ski yet. The ski features an updated Textreme Carbon woven with Innegra but other than that remains unchanged. Get out there and rip on the Vapor! Malibu boats and Waterski Events LLC are excited to announce the upcoming Malibu Open set to take place August 17/18 at the beautiful Trophy Lakes located at 3050 Marlin Rd. Johns island, South Carolina . This event will feature the worlds best professional water skiers in the world. The Malibu Open will host Open men and women’s slalom and jump events competing for a total purse of $65,000.00. The event will conclude with the men’s night jump finals on Saturday night followed by live music on site. The Malibu Open will also feature the worlds best boys and girls junior athletes who will compete in slalom and jump for a Malibu Open Junior Scholarship. 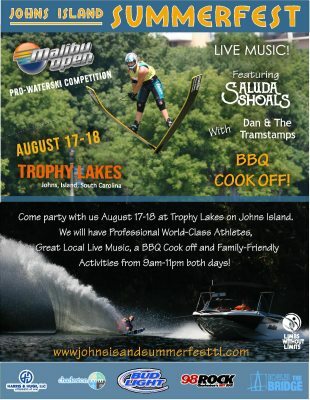 The Malibu Open is being held in conjunction with the Johns Island Summerfest featuring live bands throughout the day on Saturday as well as a bar b que cook off competition.